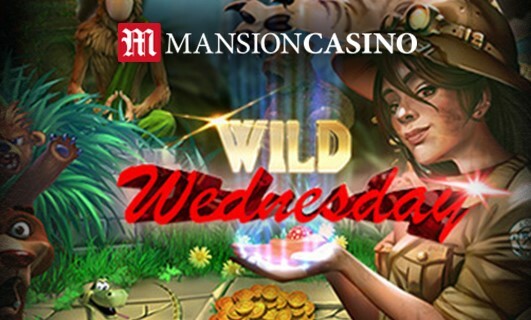 If you weren’t exactly born to be wild but you want to get your motor running, head out on the Mansion Casino website. You’ll find a lot of adventure and some terrific Mansion Casino bonuses to embrace. The Wild Wednesday promotion is a way of introducing some energy to get you over the hump in the week. Firing all of your guns at once may not be your thing but winning £20 might be. Principally, Mansion Casino is trying to inject some heavy metal thunder to jog your week along. And why not? To be in with a chance of nabbing a £20 bonus from the weekly prize draw, you are simply required to deposit £20 on Wednesdays using the code ‘HUMPDAY’, and collect 5 loyalty points, which equates to one entry ticket to the prize draw. The beauty in this offer is the more tickets you accumulate, the more chances you’ll have to win. What’s more, there are no wagering conditions to fulfil. Don’t forget to read the full terms and conditions to avoid disappointment. It doesn’t hurt to go wild on Wednesdays once in a while.